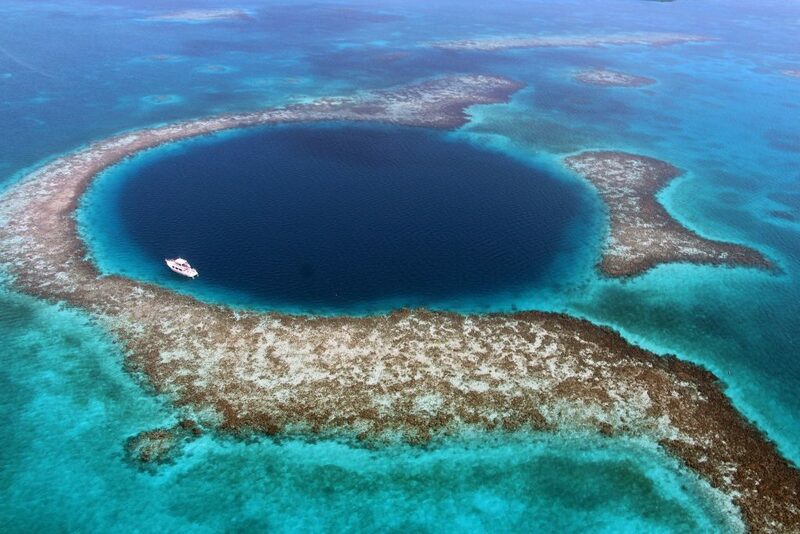 The Great Blue Hole, located on the coasts of Belize, hides 100,000 years of underwater life. Currently, there are a lot of secrets related to this natural phenomenon of almost 1,000 feet in diameter and about 410 feet deep. It is an exotic place relatively close to the coasts of Mexico, a country that also houses some of the most unique marine places in America such as its famous Mexican cenotes. From the air, bordered by keys and atolls, it is drawn as an almost perfect circumference of an intense dark blue, which anticipates its depth, and which contrasts with the different turquoise tones of the sea of ​​an almost impossible transparency. It is the big blue eye. A magical place. 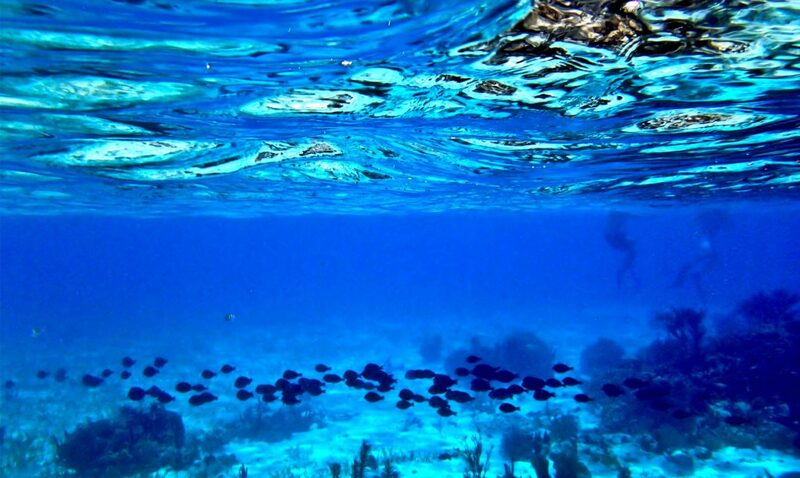 A whim of nature about 100 kilometers off the coast of Belize, in the Caribbean. It is inhabited by sea sponges, barracudas, corals and a large number of sharks that seem to “patrol” the edge of the hole, by various types of sharks, such as groups of nurse sharks (Ginglymostoma cirratum), sharks of the Caribbean reef (Carcharhinus perezi) or flying sharks (Carcharhinus limbatus). Sometimes you can see hammerheads and bull sharks. This 300-meter-wide marine chasm is located within the Lighthouse reef, one of the largest atolls in the world. 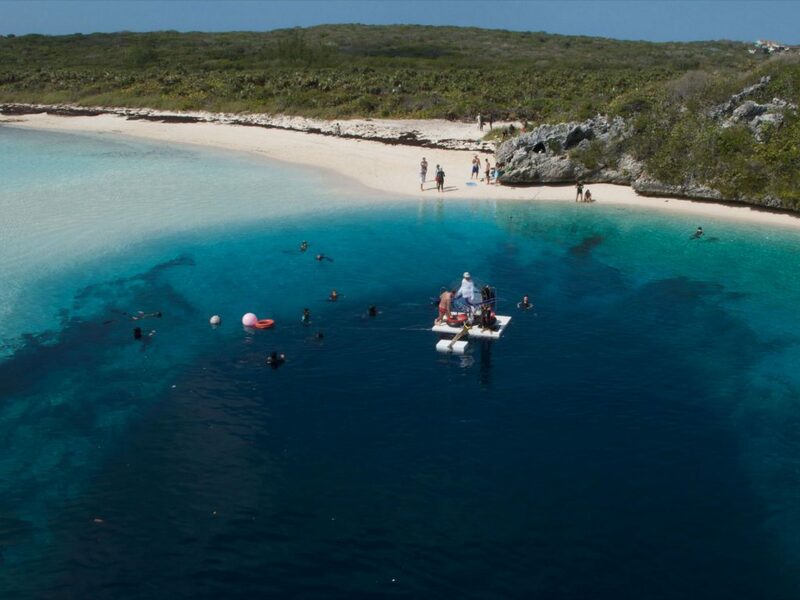 It is The Great Blue Hole, a paradise for diving enthusiasts and the biggest tourist attraction in the world. Small Central American country, swallowed like a sandwich between the jungle and the ocean. If you dedicate a little time, you will discover a surprising destination that beyond its famous coral reef, the second largest in the world, after the Australian, has enough attractions to spend at least a week. Jungles and nature reserves for lovers of adventure and nature, ancient Mayan cities of cultural and historical importance similar to its neighbors in the Yucatan or Petén jungle and, of course, islands where you can get lost and let yourself be lulled by the wind and the whisper of the sea, where the most usual plan is the dolce far niente. Normally the most common way to get to Belize is by road, by rental car or on a hired excursion through one of the border crossings from the southwest of the famous Riviera Maya, in the state of Quintana Roo (Mexico), or from the City of Flores (Guatemala), obligatory stop to visit Tikal. The gateway is usually also the City of Belize (Belize City), the old capital and today somewhat hostile to the traveler, as much of the country outside the tourist circuits. Nothing common sense and fair precautions can save to enjoy your vacation. Very close and north of Caulker is another essential, Ambergris Caye, the beautiful island to which he put music and lyrics Madonna, and there is the famous San Pedro. With more infrastructure and higher level than Caulker. His best kept treasure is Secret Beach, a secret beach that has little, but you will love. And more of the same -but you will not get tired-: snorkeling, diving, kayaking and if the wind blows you can practice windsurfing among amazingly crystalline turquoise waters. And at night, a lot of parties at tropical rhythm. 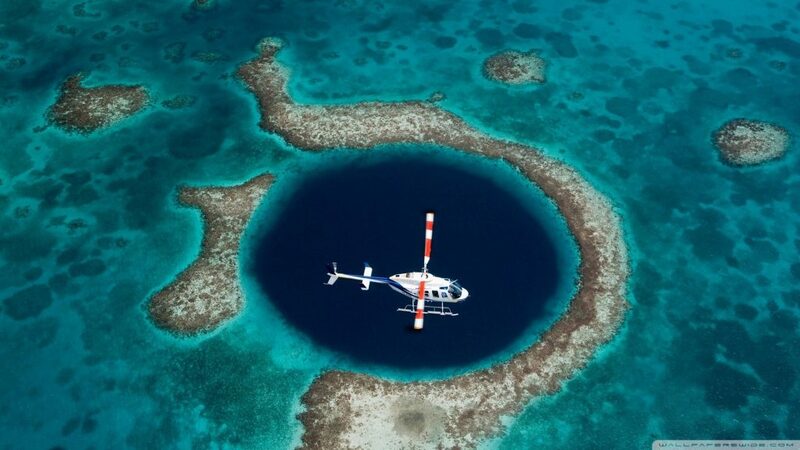 From any of the keys you can hire excursions to go to the Great Blue Hole for both swimming and diving in the big lagoon as well as to fly over it, and if you can do both, why settle for one? It will be good for the money invested in them – and we warn you, neither of them is cheap. Often, the planes that make the trip, between 25 minutes and an hour, charge depending on the number of passengers – if the seats are filled, the fares become cheaper, from $ 180 on a plane with five or six passengers. From a bird’s-eye view you will understand that none of the photos or documentaries that you have seen do you justice. The Opera of Paris, in France.